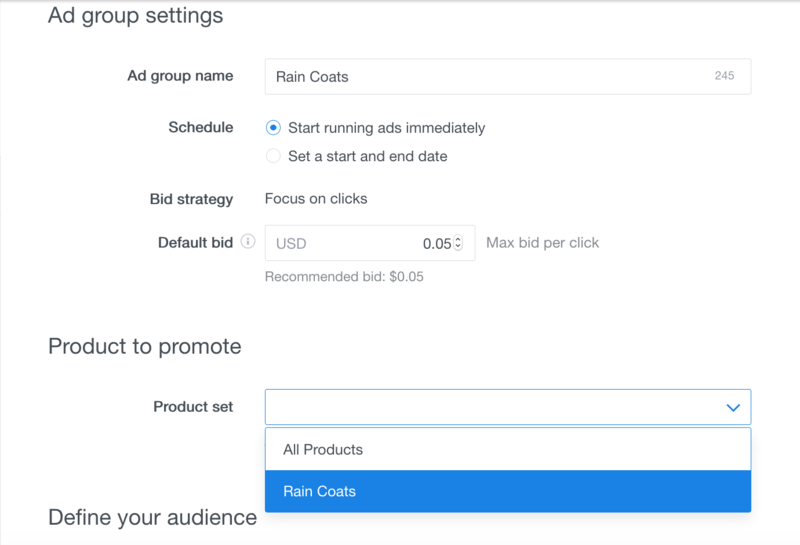 You can use Dynamic Product Ads to leverage funnel targeting in order to optimize bids that are based on a user’s progress in the purchasing process. To retarget your users, you can use engagement events, which are based on actions of your users. 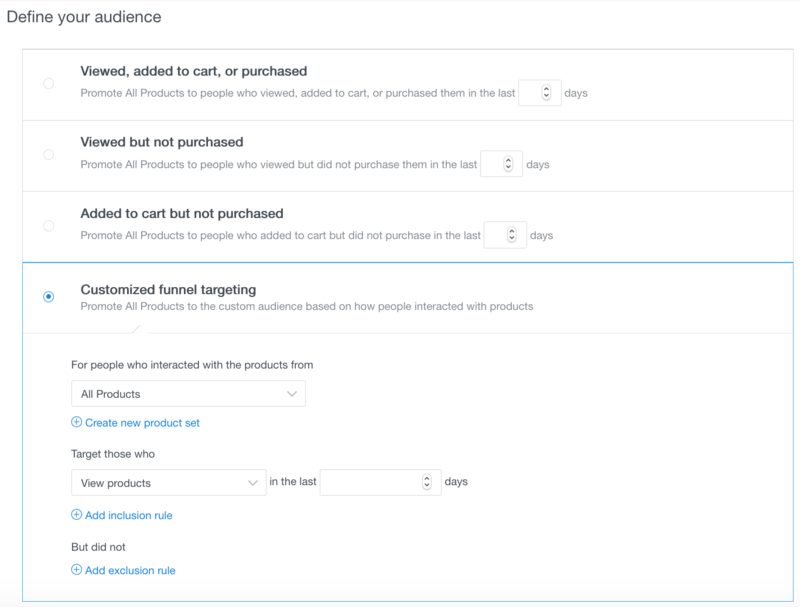 You use Product Set Targets for funnel targeting. That means, you can exclude and bid differently based on the engagement events of your users. ViewProduct: Retarget knowns users who have signalled interest in a specific product. AddToCart: 74% of US shoppers abandon their shopping carts. Purchase: Use this to cross-sell similar products or exclude those from serving product purchased. You define the products or categories within your product feed that you want to focus on. You can then build out different campaigns and ad group to focus on those products. Navigate to these next topics to Create a shopping campaign in BULK, explore Best practices and check out FAQs.